Antipolo is the City of Rizal Province. 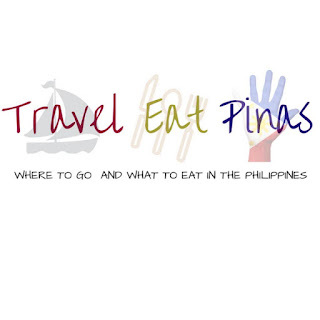 It is located at the eastern part of Manila and the most populous area in the region of CALABARZON REGION. 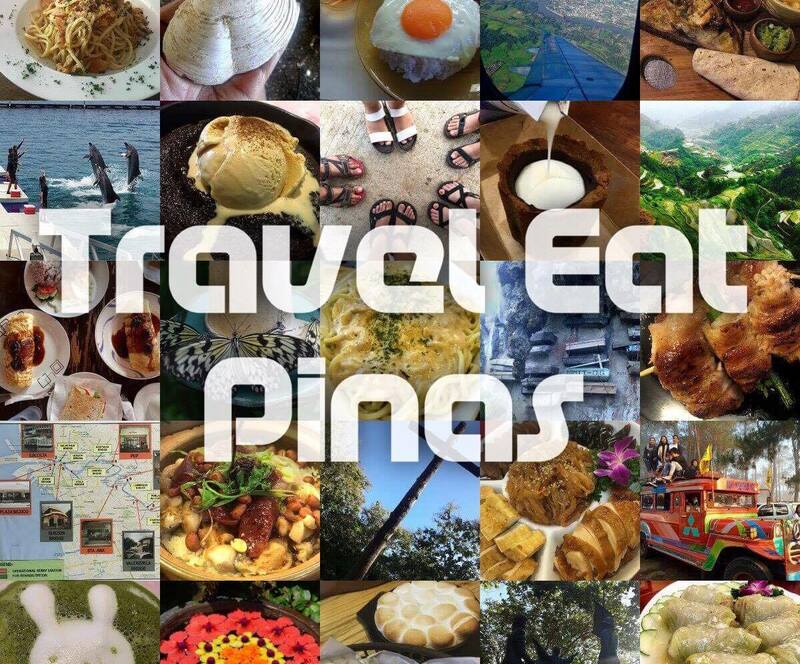 Let's go to Antipolo and witness the beauty of nature, eat delectable dishes and be fascinated with the artwork of local artists. 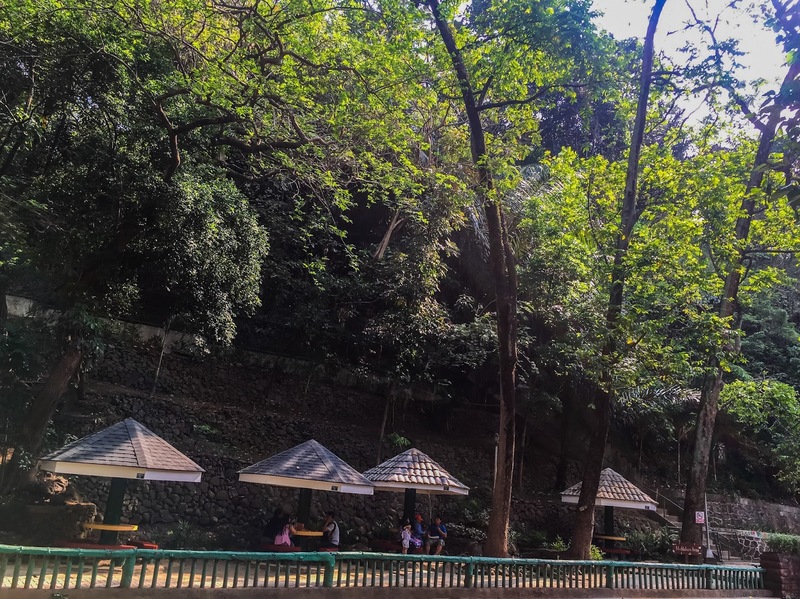 Antipolo is known as a pilgrimage site and was tagged as the Pilgrimage Capital of the Philippines because it cradles the wooden Marian Image of Our Lady of Antipolo or Our Lady of Peace and Good Voyage. The image is currently enshrined at the Cathedral of Antipolo. Devotees of Our Lady of Peace and Good Voyage perform "Alay Lakad" or travelling by foot the every night of April 30th. 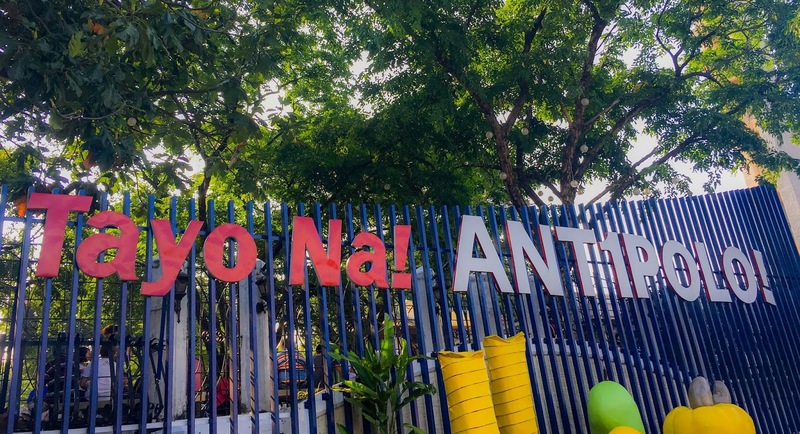 They perform this scarifies to celebrate Mass at the dawn of May 1st to thank Our Lady of Antipolo with all the blessing and answered prayer that was bestowed upon them. Our Lady of Antipolo at Antipolo Cathedral. 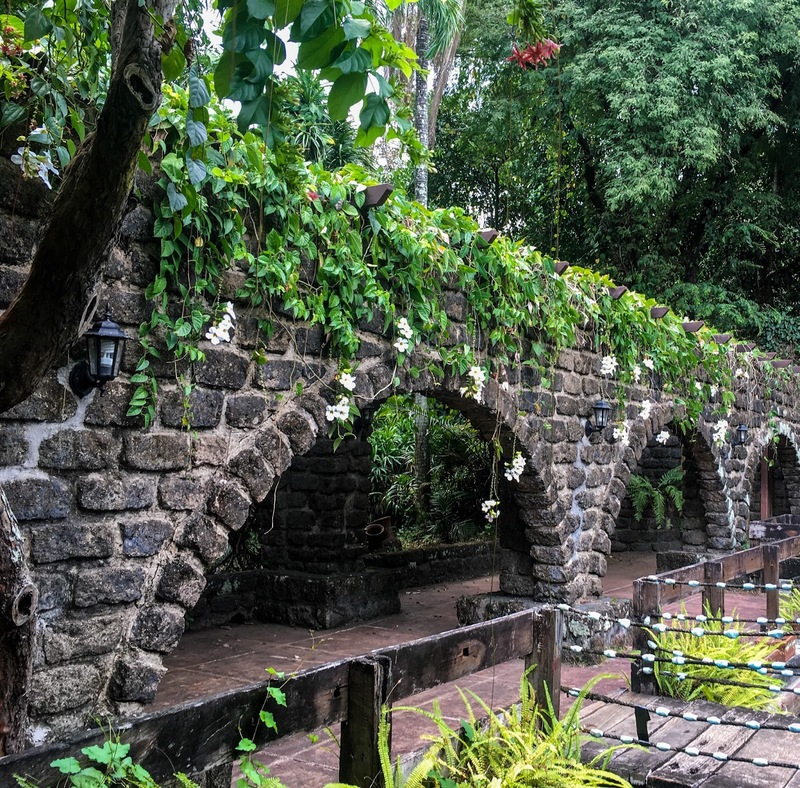 Aside from being the Pilgrimage Capital of the Philippines, Antipolo is also known for its majestic scenery and sanctuary of artwork done by local artists. 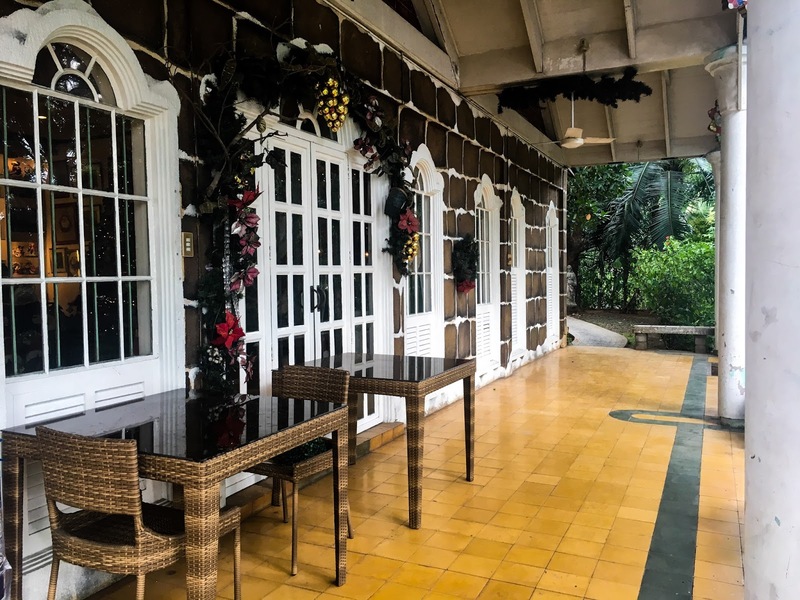 Over the past years, different establishments that showcase the creativity of local artists and promote Antipolo's breathtaking scenery were built in the city and to date, a day tour in Antipolo can lead travelers to at least seven (7) destinations. 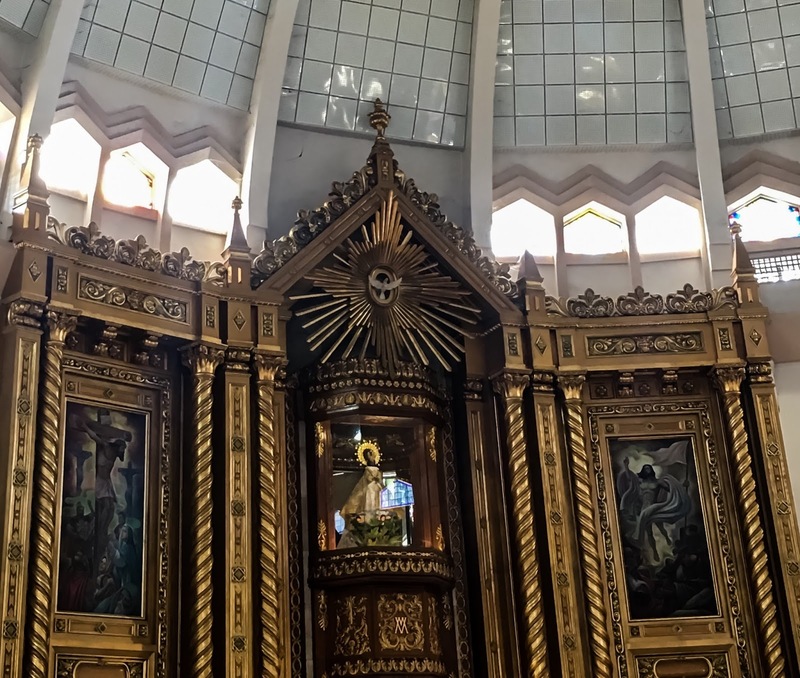 An hour drive from Cubao can lead travelers to Antipolo Cathedral. The Cathedral cradles the image of Our Lady of Peace and Good Voyage or Our Lady of Antipolo. The image was said to be from Mexico and was brought to Antipolo around 1626. 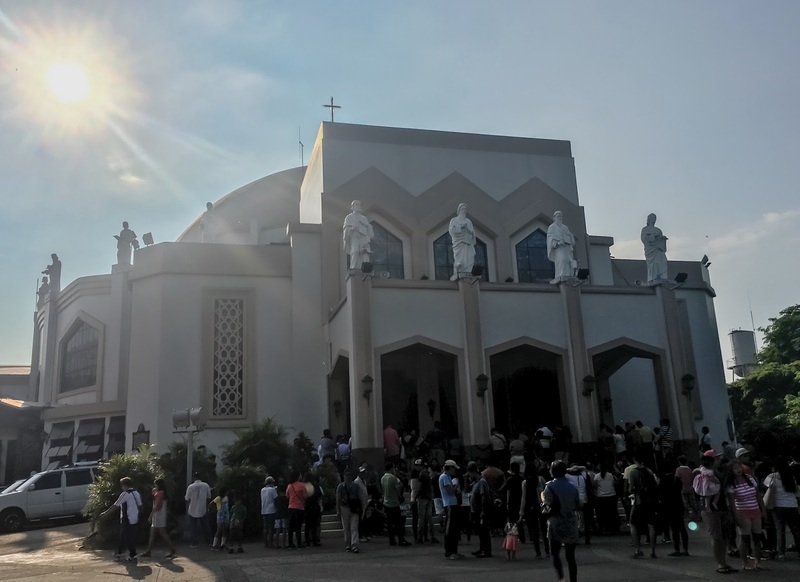 Since then travelers from different parts of the Philippines trek to Antipolo every April 30 to visit and ask for guidance to Our Lady of Antipolo. Antipolo Cathedral on a Sunday morning. HOW TO GO: Ride a train at LRT 2 Cubao and alight at Santolan Station. From LRT 2 Station, ride a UV Express going to Antipolo Simbahan. Alight at M.L Quezon Street and walk right to the road going to Antipolo Cathedral. Hinulugang Taktak is one of the famous landmark of Antipolo. The latter is a waterfalls located at Taktak Road, Brgy. Dela Paz, Antipolo. 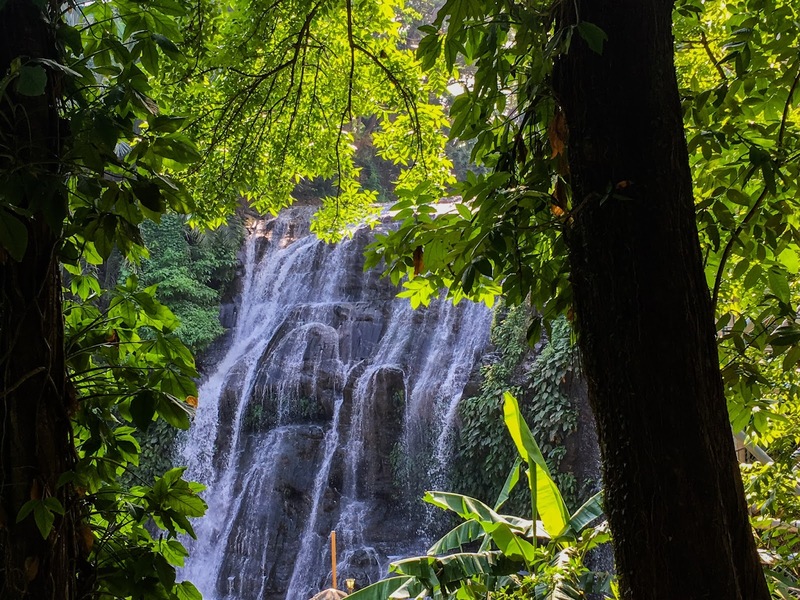 Aside from being a famous landmark, the falls is also known for its contribution to Antipolo’s rich culture and history. 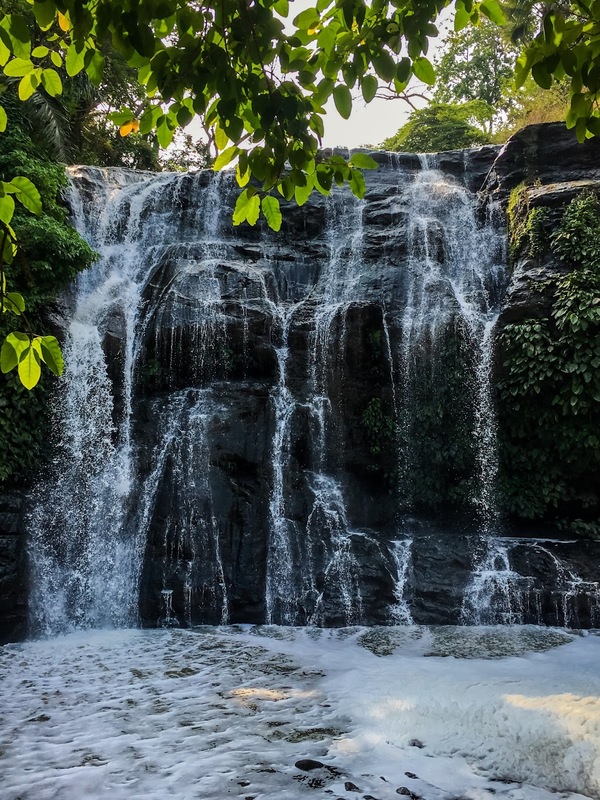 According to the folks of Antipolo, a priest was forced to drop a church bell in the plunge pool or water basin of the water falls because of the unbearable sound that it creates whenever the church try to use it. The name of the falls was then derived from the incident - “Hinulugang Taktak” which literally means where the bell was dropped. Hinulugang Taktak is one of the famous landmark of Antipolo. Hinulugang Taktak was once the nearest destination of travelers living in Manila. People can bathe and swim in the clear waters coming from the falls. Unfortunately, some of our folks exploit the falls by leaving their trash and polluting the waters on its river until no one is allowed to bathe in it. Cottages around the park that are readily available for guests who want to rest or have picnic. To date, a park and a view deck was made to preserve and enable the younger generations to see the falls. The park is situated with trees and flowering plants and bushes. Cottages and picnic tables line up along the river for those who want to relax and have picnic with their family and friends. A basketball court and swimming pool was also build in the park for those who love outdoor activities. Swimming pool for those who want to beat the heat while in Antipolo. LOCATION: Taktak Road, Brgy. Deal Paz, Antipolo. HOW TO GO: From Antipolo Cathedral ride a tricycle going to Hinulugang Taktak. * Senior Citizen, Person with disability (PWD) and children below 7 years old is free of charge. 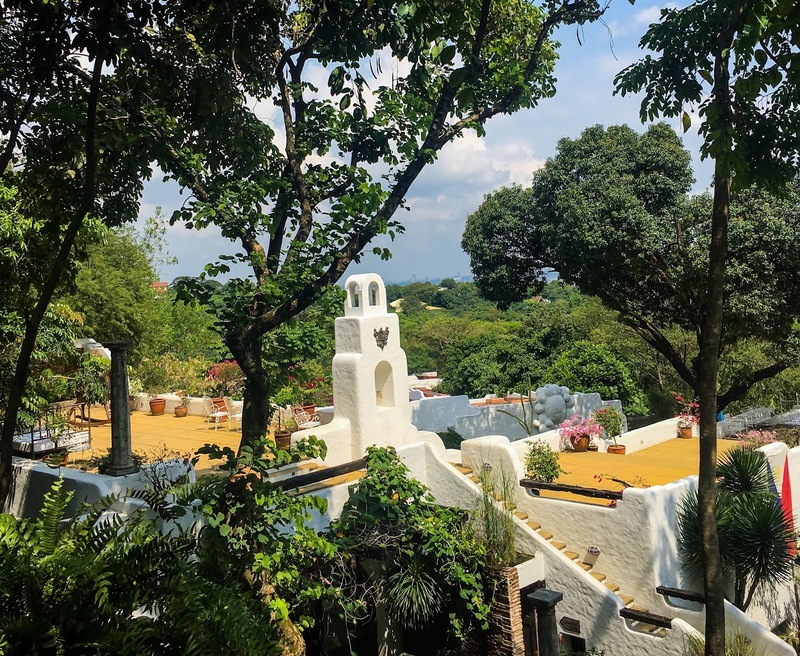 Pinto Art Museum is known for its Instagram worthy attractions and scenery, but, aside from the photos that you can get while stay at Pinto, the Museum has a lot more to offer. One of the modern art that can be found in the Museum. From the name of the museum itself, Pinto Art Museum is the gateway towards contemporary and modern art. 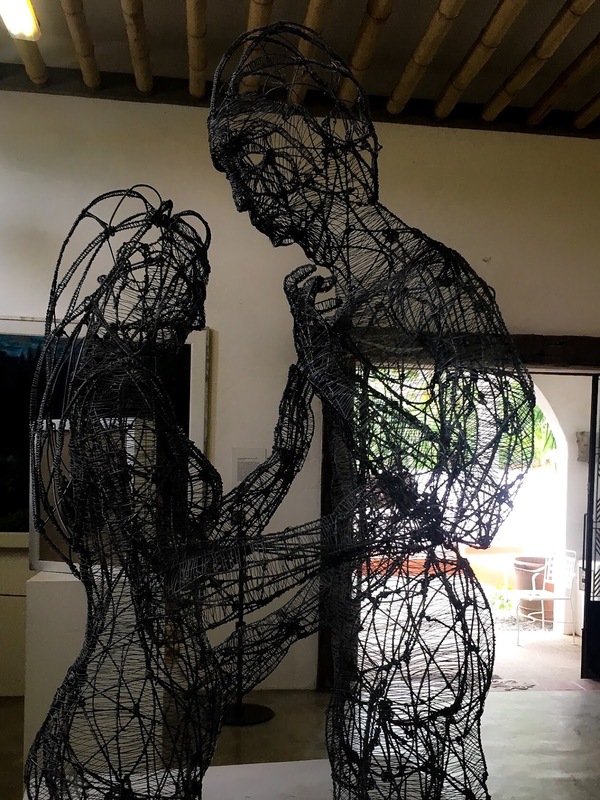 Dr. Joven Cuanang, a Neurologist by profession, gathered all his art work and invited other artists to fill his 1.3 hectares land with art works such as sculptures, paintings, and antiques that depicts life during the Spanish regime up to the present time. A contemporary art that shows the good and the evil among people. 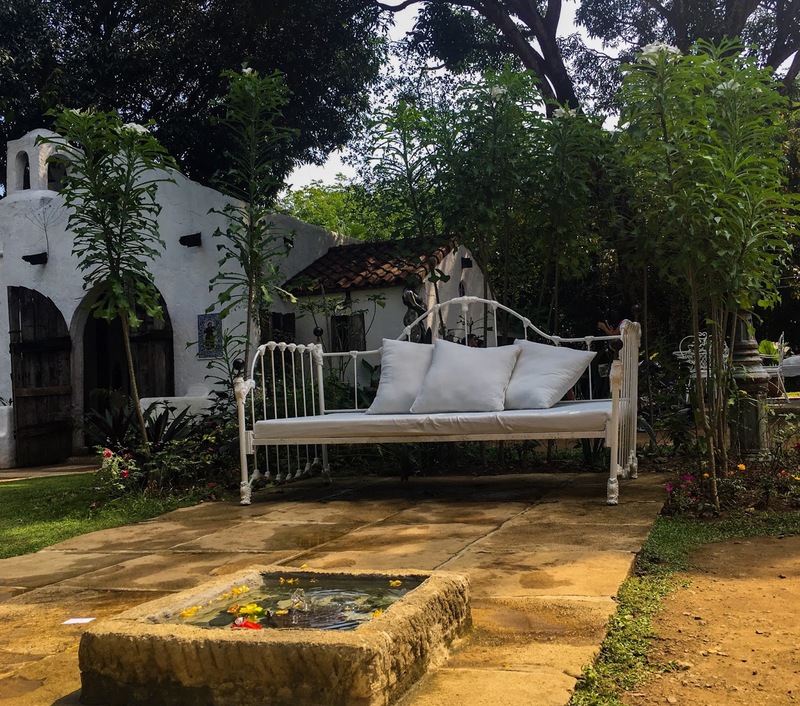 The Museum is Mediterranean inspired with white-washed coated galleries and situated with luscious trees, flowering plants, bushes and humming birds. The structure of Pinto is comparable to Santorini making the Museum Instagram worthy. Mediterranean structure of Pinto Art Museum. 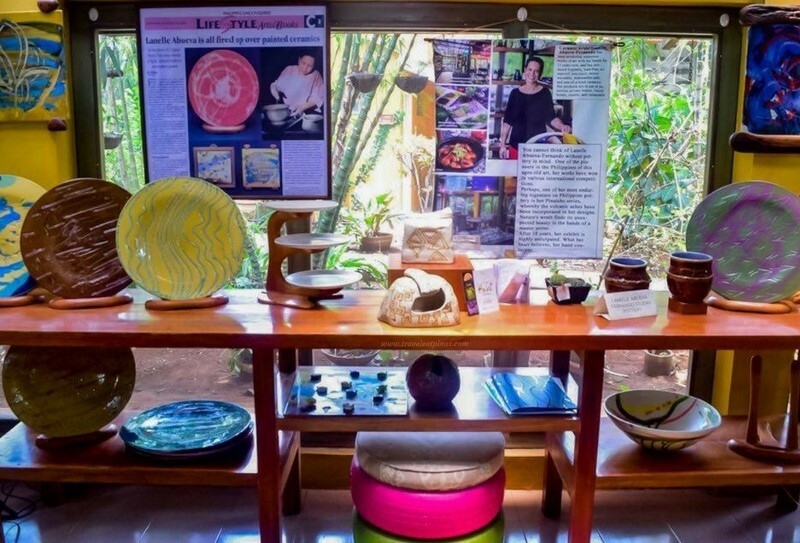 Pinto Art Museum has six (6) galleries that showcase contemporary and modern art, a separate Museum dedicated for Indigenous Art, a Chapel housing 300 antique collections, gardens with beds that invite guests to relax and unwind, a swimming pool, a roof deck where travelers can view part of the Museum and Cafes that serves meal and snacks. Beds and sofas were placed at the museum's garden. 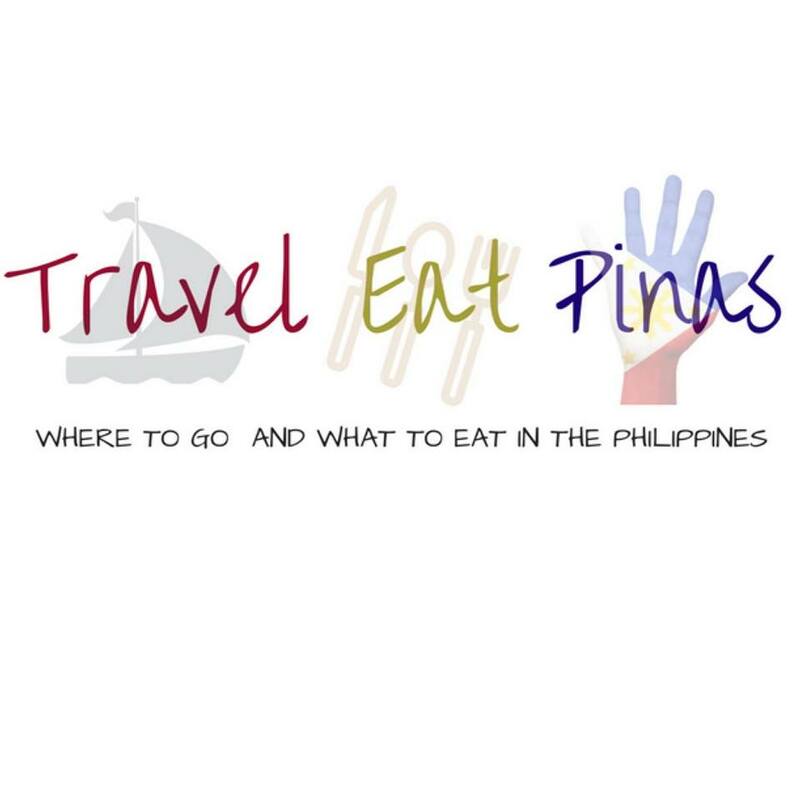 HOW TO GO: From Hinulugang Taktak ride a tricycle going to Pinto Art Museum. Crescent Moon Cafe is the brainchild of the late Chef Bey Fernando. Chef Bey is the husband of the artist and ceramist Lanelle Abueva- Fernando. He is a lawyer by profession and loves to cook. In 1997, Chef Bey and his wife Lanelle opened a restaurant and pottery studio in Antipolo and called it Crescent Moon Cafe. Vibrant and colorful interior of Crescent Moon Cafe. Crescent Moon Cafe is a sanctuary near the hustle and bustle Metro Manila. The cafe is surrounded by luscious trees and bushes. 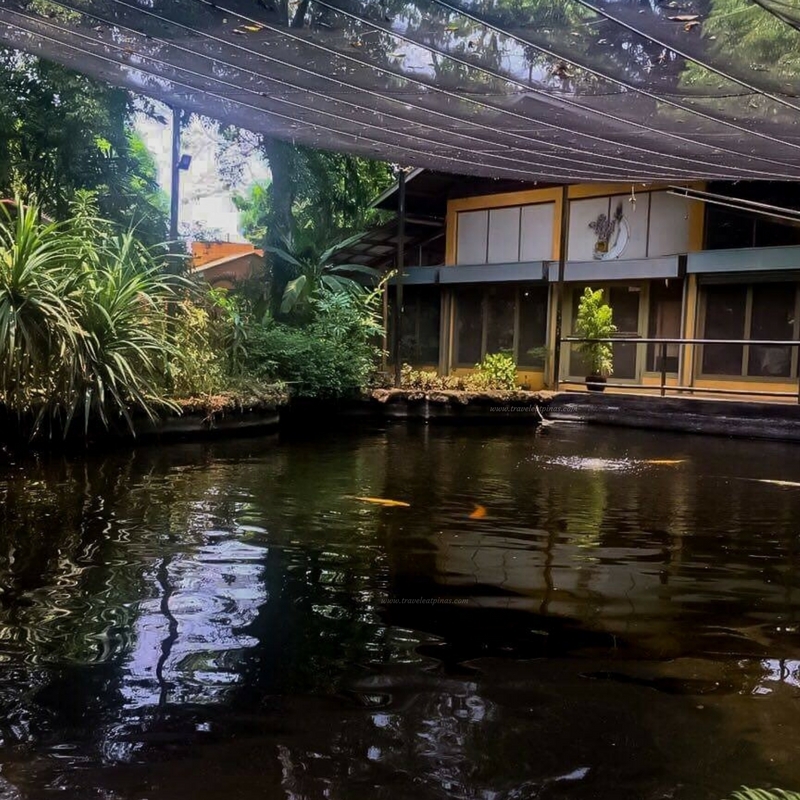 A koi pond that was once a World War II crater along with the trees at the back of the cafe serves as a panoramic view of nature. Pond at the back of the Cafe. 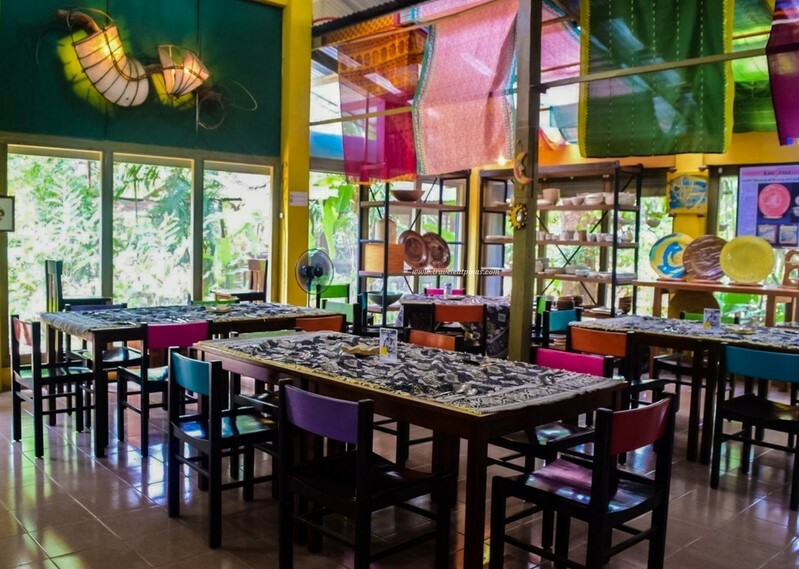 The cafe has a serene ambiance with artsy and vibrantly colored decors. Lanelle's artwork line up on the corner. Some of Lanelle Abueva's work of art. Crescent Moon Cafe serves Asian Cuisine mixed with their staple dishes. Guests can choose a la carte or buffet servings but are requested to call or inform the cafe ahead of time for their orders. 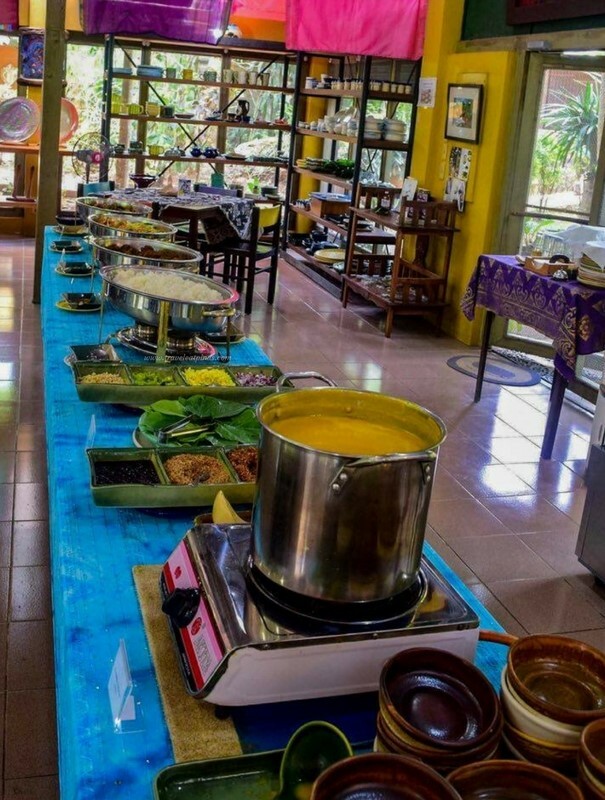 Dishes cooked in the cafe are made with no preservatives and enhancer, fresh, and are based on the number of guests per day. Buffet set up near the entrance of the cafe. Another religious site in Antipolo is the Mystical Cave. Folks name the cave Mystical because shadows and figures formed by stalactites and stalagmites inside the cave creates images of Jesus, the Holy Family, Adam and Eve, Wings of an Angel and other images that shows the life and death of Jesus Christ. Locals also believe that the water gathered from the mineral formation inside the cave can cure sickness. Entrance to the Mystical Cave. 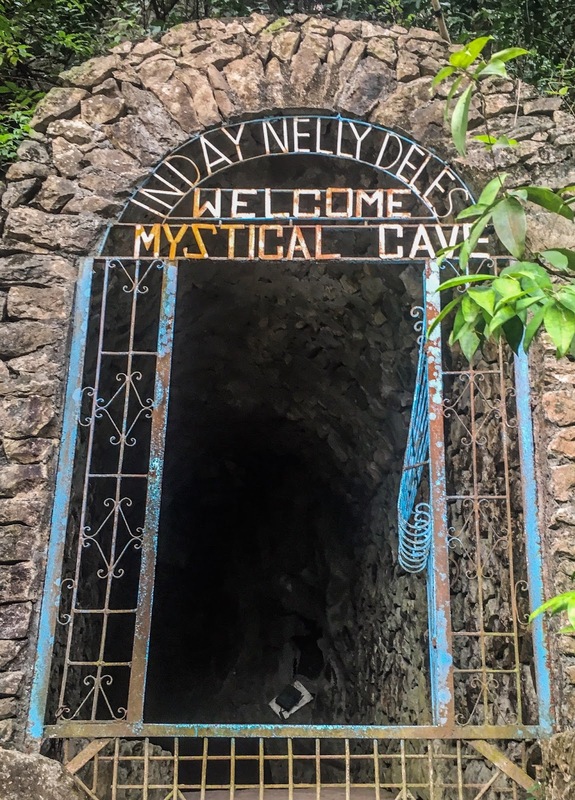 Nelly Deles also known as Inday Delly discovered the cave. According to the tourist guides, Inday Delly dreamed about the cave when she was about seven years old. Back then Inday Delly lived in Iloilo. She searched the whole county to find the cave in her dreams. Her search finally ended when she saw it in Antipolo. 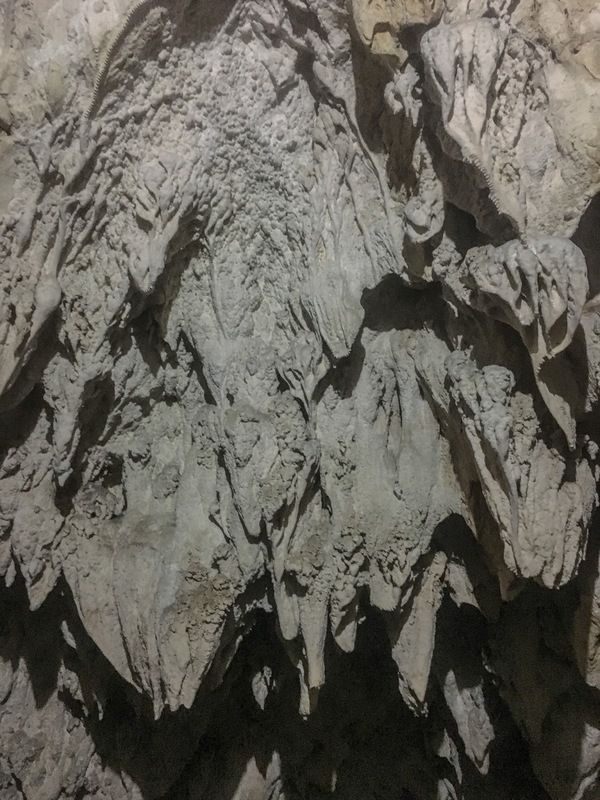 Stalactite formation inside the cave. The cave is located on a mountain. To reach it, visitors should pass a 205 stone steps carved on the mountain.The cave is eight-stores deep. To date, visitors are allowed to explore the surface of the cave for safety reasons. Every Lenten Season travelers and religious group from all walks of life visit the cave to light some candle, pray and be amaze with the holy figures formed inside the cave. 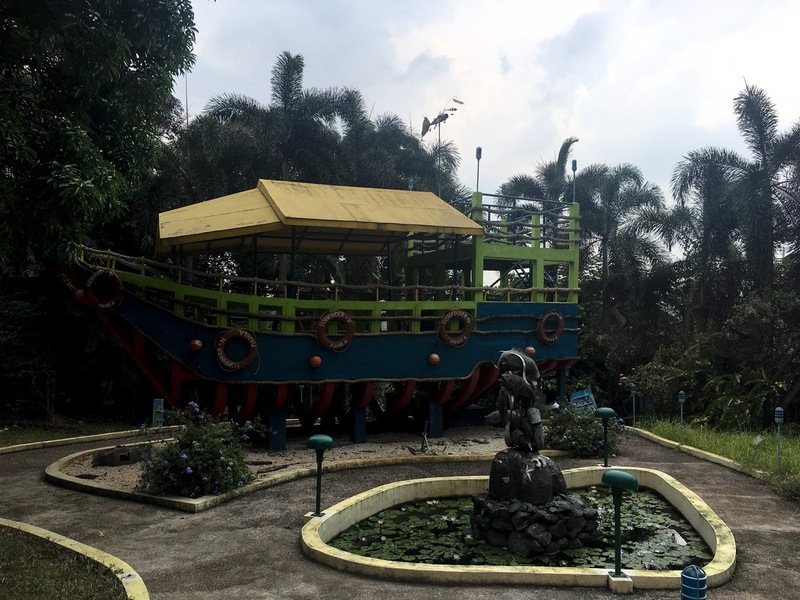 Jardin de Miramar is an events place, known garden wedding and reception venue but aside from the former and the latter, Jardin de Miramar is also the home of Casa Santa, Mini Intramuros and an outdoor playground in the form of Noah’s Ark. Some of Santa Claus collection that can be found in Casa Santa. Casa Santa from the name itself is the house of Santa Claus. It is a two-storey house filled with huge collection of Santa figurine, statue, toys, apparel and Christmas decor. The living room’s ceiling is painted with a Santa Claus riding on a slay and happily showering gifts. A Christmas tree sits in the middle of the living room to shower the Christmas spirit to everyone visiting the house. 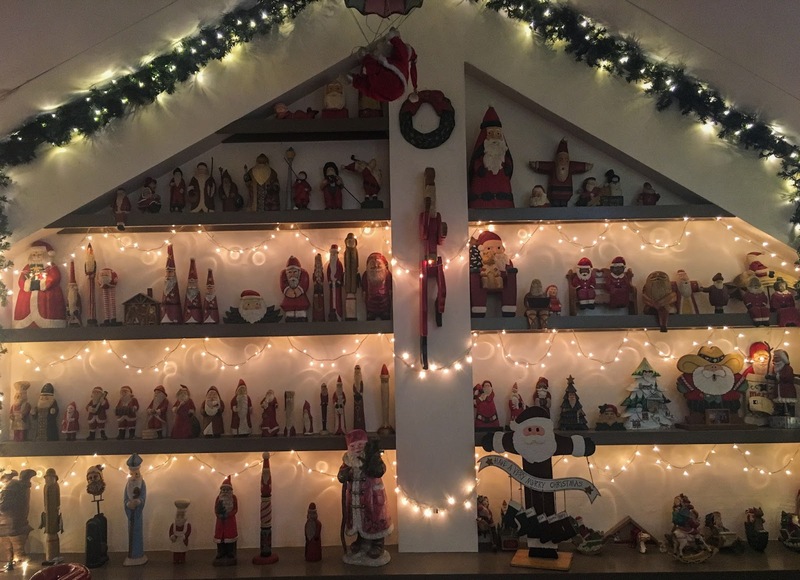 A room filled with Christmas Village that shows holiday activities and events lies on a room at the second level of the house along with a child's room filled with huge stuffed toys. An instagram worthy location inside Mini Intramuros. Mini Intramuros on the other hand, has replicates some of the walls found in Intramuros. 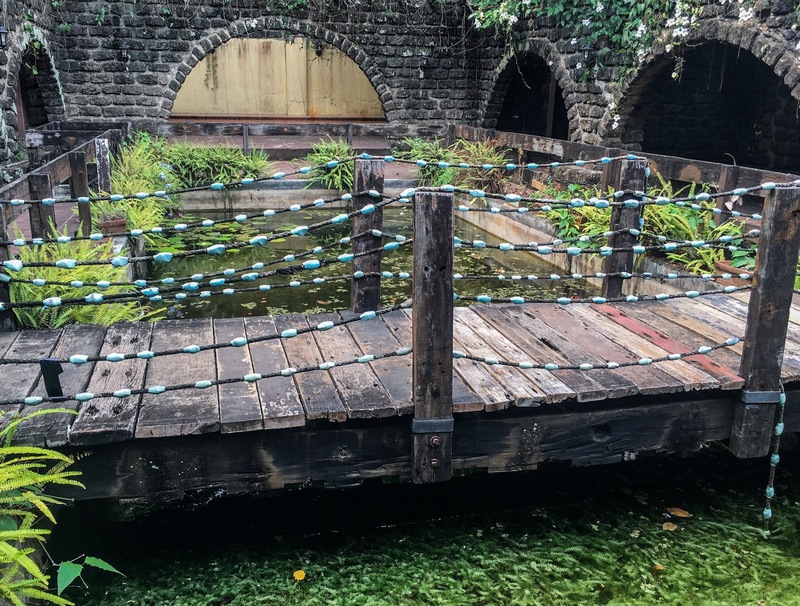 The place is instagram or picture worthy because of the flowering plants and man made lagoon inside the ruin like structure. Noah's Ark is an outdoor playground for kids. Lastly, a huge Noah’s Ark serves as an outdoor playground for kids and child at heart. The location of the ark is a great venue for outdoor children's party. 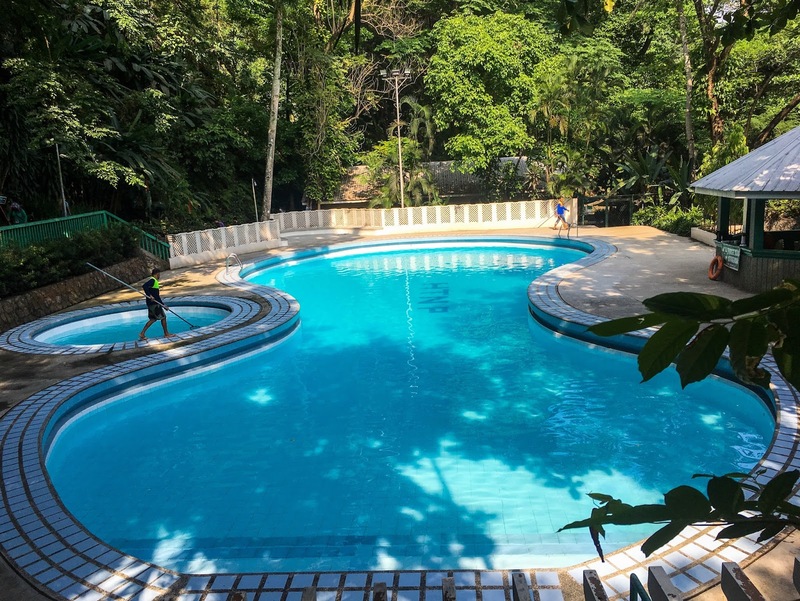 Cloud 9 is a Hotel and Resort destination in Antipolo City. The Hotel is composed of 78 rooms with two (2) swimming pool and seven (7) event halls. Along with the resort's amenities is the 360 View Point. 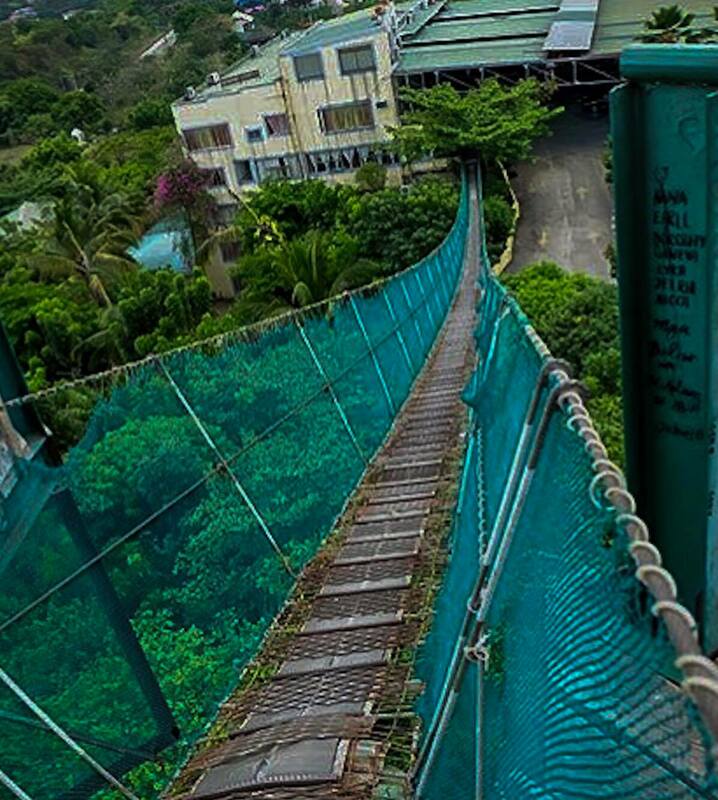 Hanging bridge connecting Cloud9's lobby and the View Point. 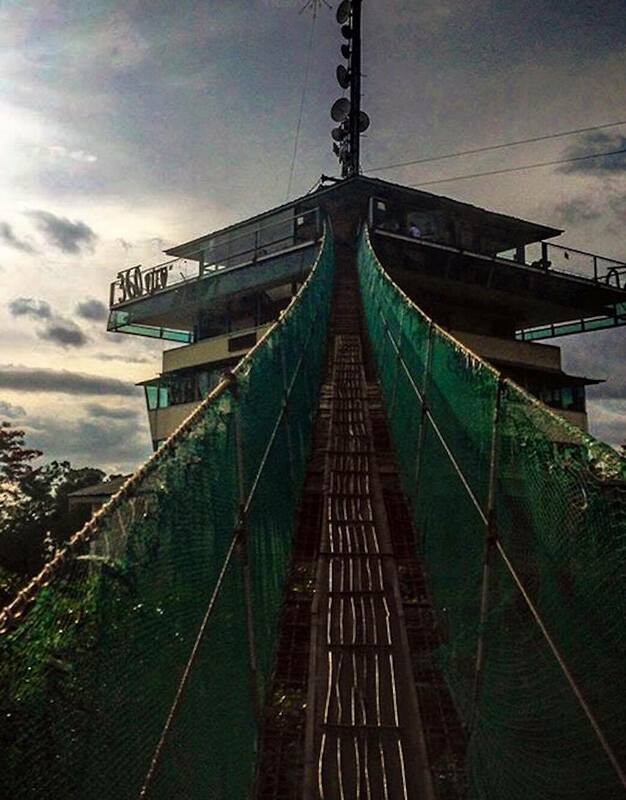 To reach the View Point, guests are required to cross a hanging bridge that connects Cloud 9’s lobby and view deck. Crossing the bridge is a bit challenging because it swings whenever the wind blows and when some either jump or make big movements. View from the 360 Deck. Breathtaking panoramic view of Manila, Antipolo and some parts of Rizal can be seen on the View Point. The scenery is even spectacular during sunset. Do you know the way/ do you have any suggestion if magcocommute lang from one place to another? If you are planning to commute, you can ride either a jeepney or tricycle from one place to another. You can also download SAKAYPH app on your phone to know where and what to ride and fare costs as well. how much po ang day tour?